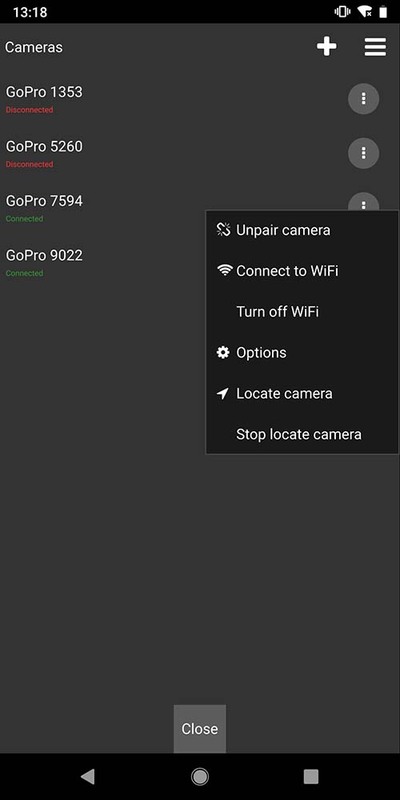 The Multi Camera Control for GoPro cameras app controls multiple GoPro Hero and GoPro Fusion cameras synchronously using Bluetooth. Supports GoPro Hero 5, Hero 5 Session, Hero 6, Hero 7, HERO (2018), and GoPro Fusion (360°) cameras. 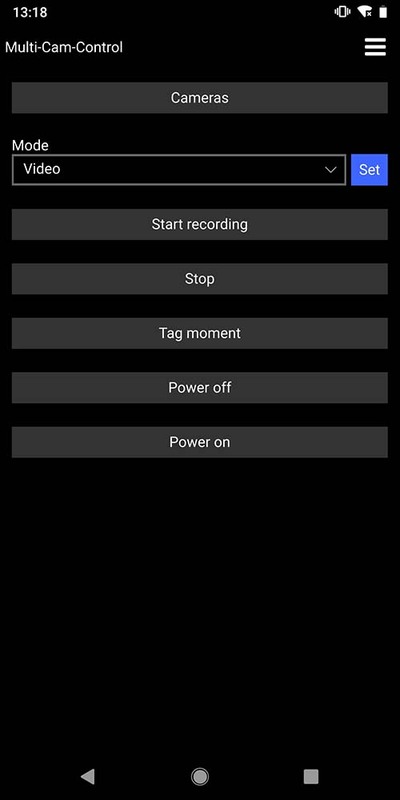 Synchronous functions: Start/Stop recording, change camera mode (video, photo, etc. ), tag moment, power on/off cameras. Bluetooth based communication significantly reduces energy consumption and keeps the GoPro camera cooler. Everything is done in the app. You do not have to fiddle around in the system settings anymore. 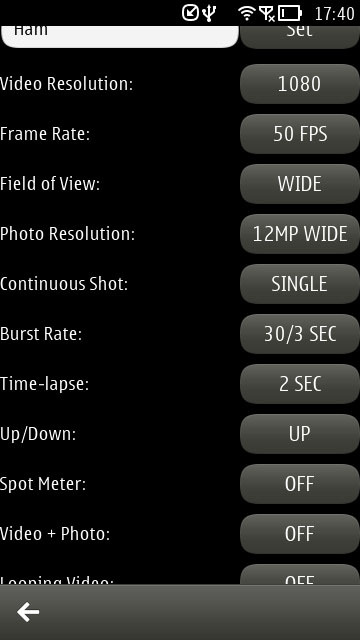 Change camera settings (Protune, resolution, frame rate, etc. ).